This overwhelming feeling of being unqualified for a position is known as Impostor Syndrome, and it’s far more common than one might think. In fact, experts believe somewhere around 70% of professionals have suffered from this feeling during their careers. 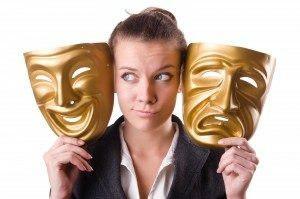 Feeling out of place in a position is nothing new, but what’s more important is why those feelings are plaguing you, and what to do to combat being an impostor. Impostor Syndrome is not inherently bad. The feelings of inadequacy that come with it are actually generally associated with high performers being overly critical of their own performance. It’s therefore important to determine why exactly you feel out of place. While you may be performing just fine, one of the reasons you may feel out of place is a dissociation between the job you thought you wanted and the career you’ve found. An easy way to tell if this is the cause of your feeling out of place is to look at your milestones and accomplishments. If getting your job done and reaching goals makes you excited, then you’re most likely still in the right place, but if even the biggest milestones fill you only with a sense of relief at having completed a project, then you may be in the wrong place. On the flip side, if completing your goals at work is something you get excited about, feeling like you deserve the job you have could be as simple as changing your mindset. Even here it’s important to identify what it is that’s causing your feelings of dissociation. There are many reasons you may feel like you’re in the wrong place even if your career is a good fit for you. It is commonly our habit to feel like we’re the underdog and that we aren’t deserving of a position, and when these feelings carry over into a new job, they can linger and manifest as Impostor Syndrome. By identifying when you feel out of place and what that might be connected to, you can find a way to anticipate and prevent feeling out of place. Consciously connect to the situations that make you feel most uncomfortable and actively combat them by associating the same situations with your own successes. By regularly doing this, you can slowly set yourself up to feel accomplished rather than constantly suspecting you’re a fraud. As you change your mindset, remember that Impostor Syndrome doesn’t have to be a bad thing. Critiquing your own performance is a way to ensure you are constantly improving and getting better in your position. Without the ability to notice your own shortcomings, you’re actually more likely to fail. If identifying exactly what’s causing you to feel out of place proves to be something you can’t tackle on your own, consider talking to a Career Counselor who can help you discover what exactly makes you feel out of place and help you take steps to combat your Impostor Syndrome or help you find a position more fitting for your talents. After all, our passion lies in getting people to where they need to be in life.